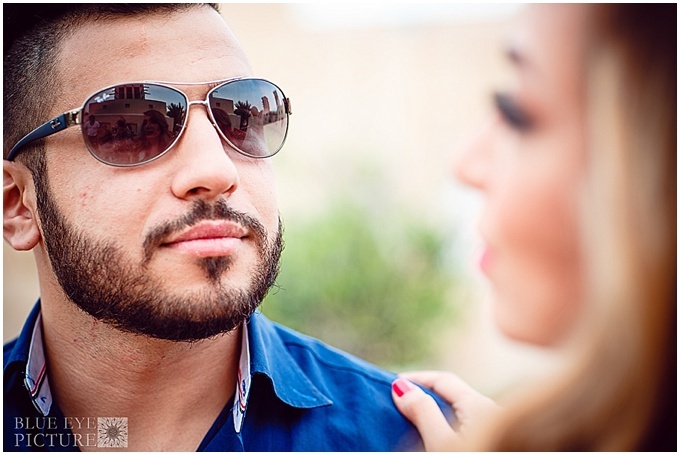 This lovely engagement shoot was captured at one of my all time favourite spots in Dubai; Souk Madinat Jumeirah. It’s the one place I take all my visitors since it opened in 2004 and I truly love it. 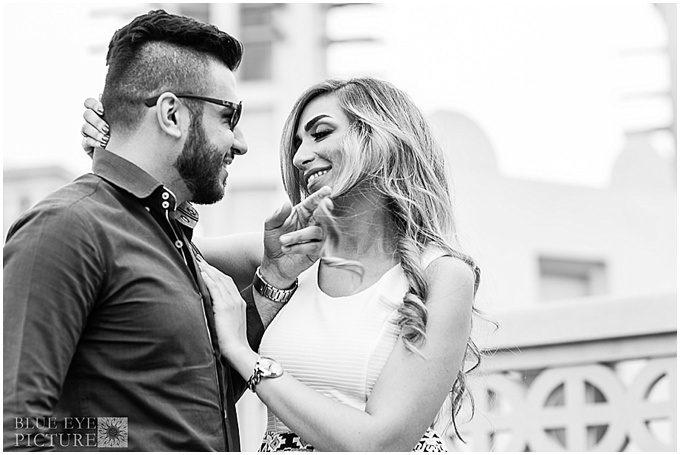 I’ve featured lots of weddings with a backdrop of the iconic Burj Al Arab, and brides riding on Abras but not so many engagement shoots. 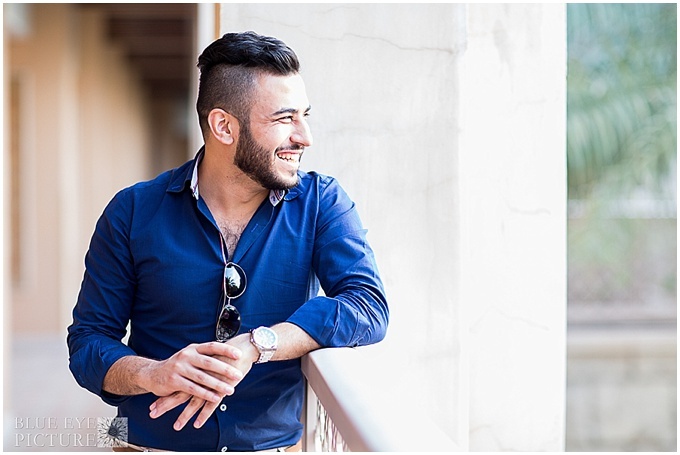 The traditional sand toned walls combined with the Arabic style furniture (loving the wood bench teamed with blue cushions) give this shoot really cool Dubai vibes… and I hope you love this as much as I do. 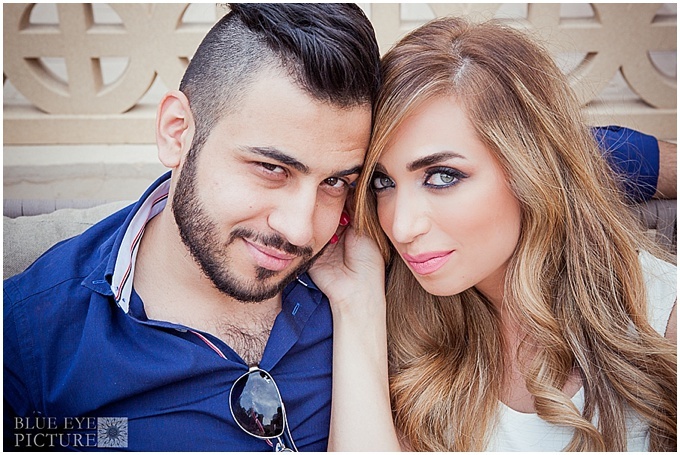 Haneen and Ziad are two things… very good looking, and very in love. This sort of shoot is guaranteed to be a good one. Why you might ask? Because you combine these two things with Gregory’s photography skills you’re you get this…. Btw I’m in sunny England for the next 10 days. I arried yesterday evening and I’m hanging out with my Mum, and today driving up to Shropshire from Somerset (where my Mum lives) to see my Granddad. Three hours in the car with no wifi is going to be fab… roll on my country living detox. Think hills, sheep, trees and British motorways. If I wasn’t on a diet I’d be craving a pasty right now. #OhSoEnglish 🙂 I’m technically on vacation but as usually I’ll do my best to blog as much as I can.